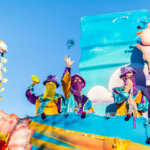 Lundi Gras, the Monday before Fat Tuesday, is one of the funnest nights in New Orleans with shows, parades and mini festivals. Carnival is always such a busy and exciting time of year, and in the days leading up to Fat Tuesday, there is no shortage of things to do. The Monday immediately before Mardi Gras Day, also called Lundi Gras, “Fat Monday,” or “Shrove Monday” holds its own traditions and celebrations. 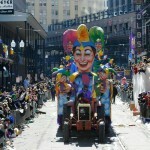 Lundi Gras this year falls on Monday, March 4. Think of it as pre-partying for Fat Tuesday (as if the preceding weekend won’t be enough). Prior to 1987, Monday was typically a day of rest, a welcomed break between the weekend and actual Mardi Gras Day. Since then, the customs surrounding Lundi Gras have evolved continuously. This year, the Kings of Zulu and Rex will meet via riverboat along by the Spanish Plaza and Woldenberg Park. The Mayor of New Orleans greets both Kings and gives them the keys to the city for Mardi Gras Day. Fat Monday Luncheon – The oldest tradition in Louisiana LGBTQ history, the Fat Monday Luncheon has been celebrated since 1949 when a local crowned one of his out-of town guests Queen of the luncheon at Brennan’s restaurant. Eventually, the group moved to Arnaud’s restaurant where the event is held today. Every year two queens are crowned: one from out of town and one from New Orleans. 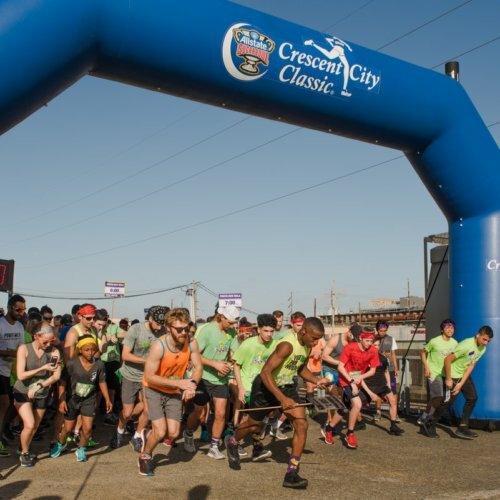 Red Beans Parade – The Parade of Red Beans meanders through the streets to honor a New Orleans’ Monday culinary tradition: red beans & rice. Paraders construct their outfits out of – you guessed it – red beans. 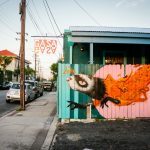 The walking parade begins at 2 p.m. in the Marigny and meets up with the “Dead Beans” in the Tremé neighborhood. 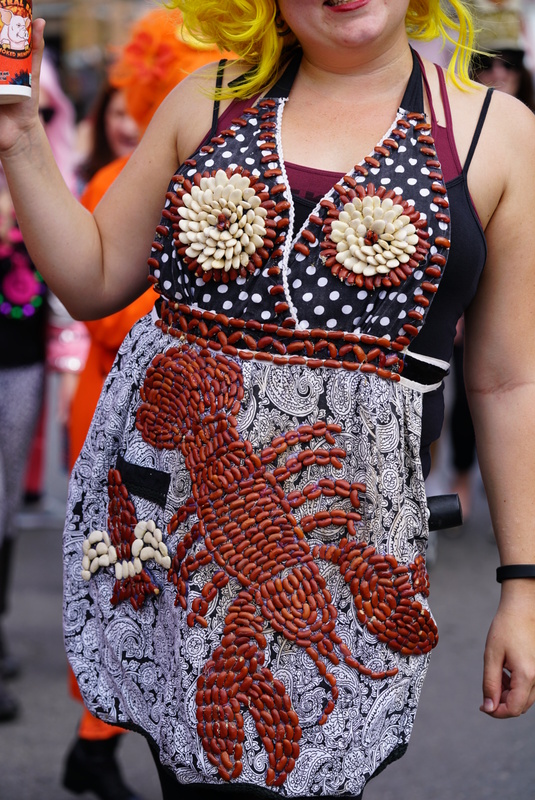 Dead Beans – A close cousin of the Red Beans Parade, the Parade of Dead Beans begins at 2 p.m. near Bayou St. John in Mid-City and eventually meets the Red Beans in the Tremé. Costumes are inspired by mythological and folkloric traditions honoring the afterlife, death, and mortality. Some suits even honor family members that have passed away. Zulu Lundi Gras Festival – This free event is held at Woldenberg Riverfront Park and hosted by the Zulu Social Aid & Pleasure Club. It gives locals and tourists a chance to experience Zulu in an up-close and personal way, with food, music and crafts along the Riverfront. 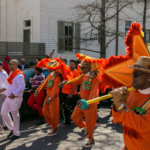 The Zulu Lundi Gras Festival starts at 10 a.m. and includes three music stages, and the party continues until the arrival of the Zulu King and Queen aboard a Coast Guard Ship. Riverwalk’s Lundi Gras – This free Riverwalk event features live music from Darcy Malone & The Tangle, Rockin’ Dopsie Jr. & The Zydeco Twisters, and Cowboy Mouth, plus local food and drink vendors. The arrival of Rex, the King of Carnival, Zulu, and the Mayor of New Orleans followed by an extravagant firework display tops off the evening! The event starts at noon. Evening Parades: Proteus, the second-oldest krewe in the city, and Orpheus, the music-based super-krewe, both roll in Uptown Orleans Parish this night. Music/Shows – Local legends Quintron & Miss Pussycat will be playing at One Eyed Jack’s, and Galactic will be performing at Tipitina’s. Keep an eye out for other local legends who are sure to announce shows as the date approaches!